When it comes to the material handling world, safety is key. Employees are moving massive quantities of goods that can have seriously hazardous ramifications if safety measures are skimped anywhere. Whether it is proper training or purchasing the right equipment, implementing these safety measures creates a much better working environment for your employees. That is why we included three key safety features for our yard ramps. When you purchase a Medlin yard ramp for sale, you can be certain that you are getting one of the safest pieces of equipment out there. The first thing that any yard ramp needs is safety curbs. The safety curbs allow your forklift driver to perform their job without hesitation. They can working confidently knowing that their forklift won’t roll off the ramp because they have the safety curbs to prevent that. If for some reason your forklift or material handling device has abnormally large wheels, you can purchase a custom order yard ramp with extended curbs. Another safety feature of our yard ramps is the serrated grating surface. This is important because you are likely to be working in all types of weather conditions. It has been proven to provide the most reliable all weather traction. Again, this makes life a lot easier, and safer, for your forklift driver as they work in undesirable weather conditions. Finally, Medlin Ramps also has yard ramps with safety chains and hand rails. Our mobile yard ramps have safety chains so that it can be easily operated by a single individual. In addition, one of our optional safety features is the inclusion of hand rails. These are perfect for when you ramp will be used for personnel. A safety curb alone won’t do when employees are hand loading and unloading. You’ll want handrails they can use to prevent falling off the side and as additional support when walking up and down the ramp. We believe in the safety of employees which is why we design and manufacture our ramps with safety in mind. 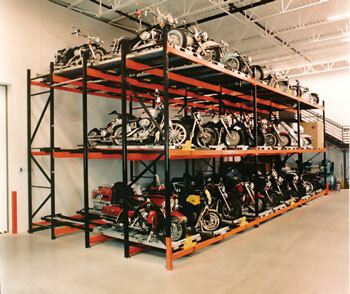 Your employees will use not only the highest quality ramp, but also the safest.